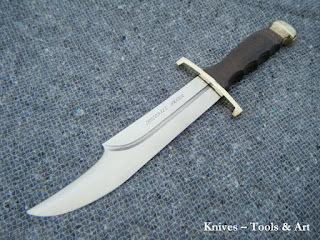 This is a low price Taiwan produced bowie knife from the 80´s influenced by Linder's model that goes by the same name. 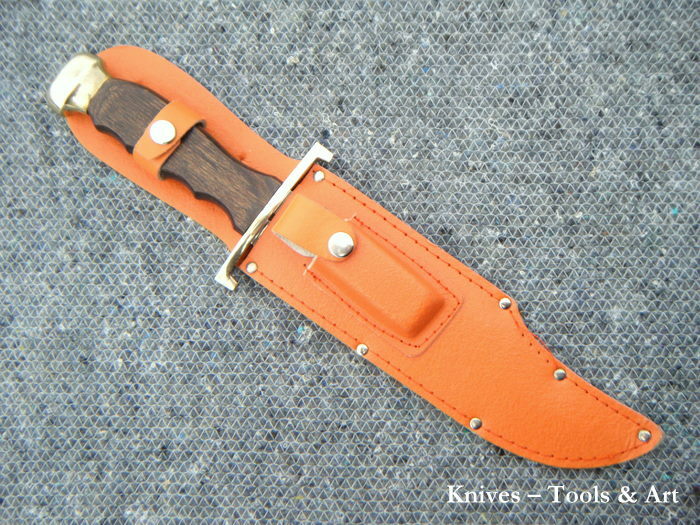 A nice design detail on this knife is the blade's extreme clip point and the big blood slot. 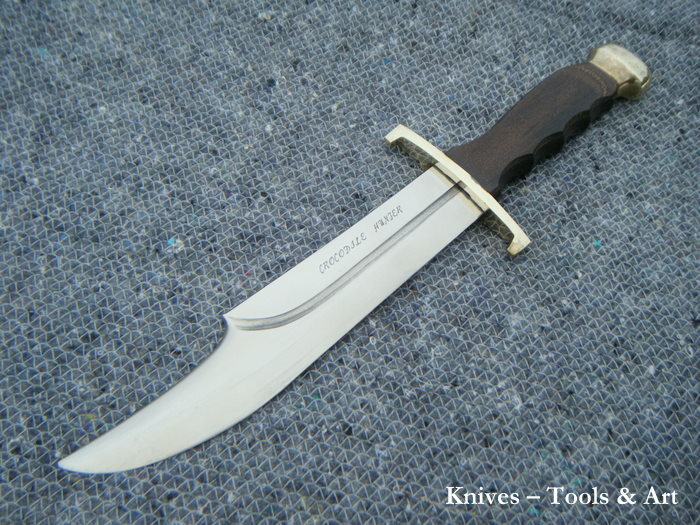 The big blade have a long tang and a convex edge. This bowie comes with a pretty dull edge and you quickly realize why the fragile sheath is equipped with a whetstone. I like the robust handle with well fitted finger grooves and a big brass guard.